If you're the kind of person that enjoys heading overseas for a spot of day shopping, or simply prefer to leave your car at home whilst on holiday, Alpha Travel Insurance have partnered up with Holiday Extras to offer you secure Port Parking starting from a fantastic price of just £5.25 per day. Port Parking is the ideal choice for those looking for a secure and safe place to keep your car when travelling from the UK's top two busiest ports, Dover or Southampton. For those who prefer to begin their trip and arrive at the port feeling relaxed and refreshed, booking a hotel and port parking package is the most cost-effective and preferred option. With 5 star hotels available at an unbeatable price just a stones-throw away from the ports themselves, the main benefit of staying at a hotel means that you've already completed most of your trip and won't arrive at the port in a flurry! Hotels are available in Dover, Southampton or nearby Ashford - We can even arrange for a chauffeur to bring your car to you at the port terminals! 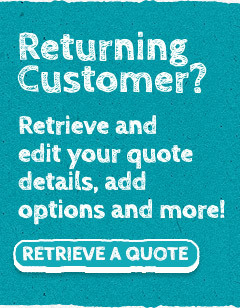 With a 100% guarantee that you won't find better value anywhere else, simply click 'Get a Quote' to get started.